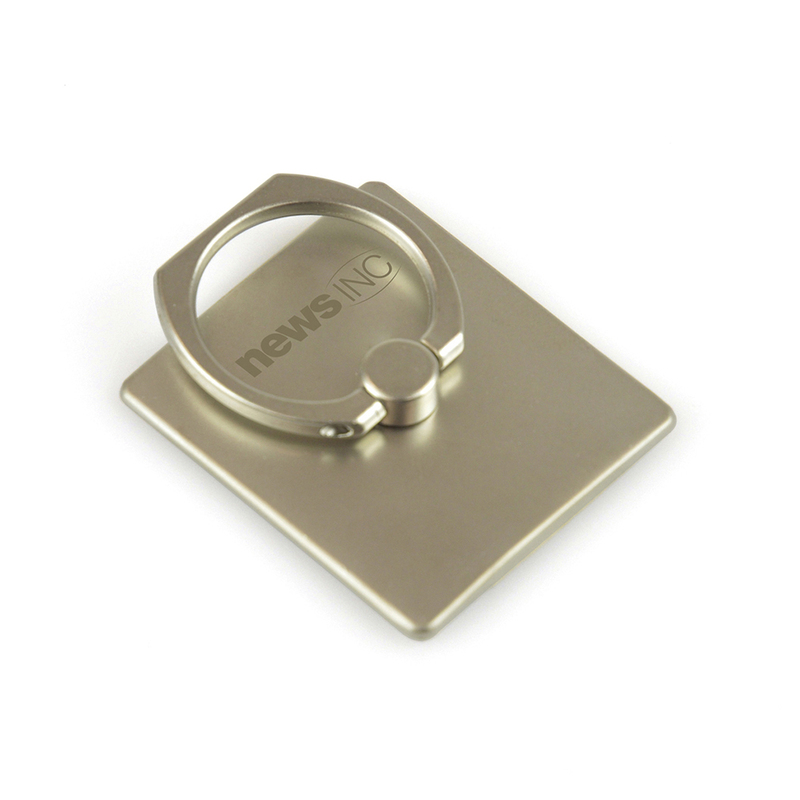 Description: Metal ring that attaches to the back of your mobile phone to act as a stand or to use as a holder for added grip when carrying. Available in matte silver finish only. Notes Price includes engraving to 1 position. Set up and carriage are additional.